Want to fix your diabetes? 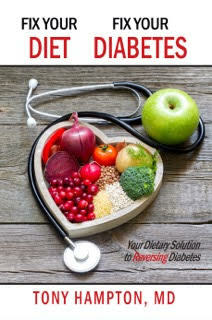 In this book, I share with my diabetic and borderline diabetic readers that they have the power to reverse or prevent diabetes simply by changing their diets. It starts with how you think. By removing old beliefs to new ones that better serve you, the path to recovery from diabetes can be that simple. Once I provide the rationale for changing old beliefs to more productive ones, I then share with you ways to stay motivated as you journey to a new way of eating. You are then given a deeper understanding of why so many people have diabetes. This knowledge will allow you to remove thoughts you may have had where you blamed yourself for having diabetes. You are then given tips on how to maintain the motivation needed to make a successful transition to a diabetic friendly diet. Additional knowledge is given about the many complications which could occur when this condition is not well controlled. Empowered with the understanding of why diabetes occurs and its many complications, you will be given a case for changing how diabetes is treated. This is done by changing the focus of diabetes management away from the symptoms (elevated glucose), which is how we currently manage this condition, to treating the cause of the disease (insulin resistance). You are then given the rationale for increasing healthy fats in your diets while reducing starchy carbohydrates and processed foods. Once this is explained, examples of foods that should be considered for smoothies, snacks, and dinner are given so you will know how to choose foods which are best. Finally, tips on how to avoid being fooled by marketing labels and claims of so-called healthy foods provide the framework by which great dietary choices can be made. This new approach to reversing diabetes with diet will reverse diabetes in nearly anyone willing to make these simply lifestyle changes. Now that you understand that Type 2 diabetes is about insulin resistance, it’s time to rethink how you are approaching your treatment for this condition. Most doctors and their patients focus on reducing the blood glucose values and if they’re successful they feel they’re controlling diabetes. But I asked myself if we were fixing the core problem or simply treating the symptoms. After reflecting on the question, I realized the core problem may not be elevated blood glucose levels after all. High glucose values are simply a symptom of diabetes. So where should the focus be? The answer is insulin resistance. By focusing on this, you could achieve much better results, since this is essential to fixing your diabetes. Let’s use an analogy to help think about this concept in a different way. If I see a patient who presents with a painful throat, red and swollen tonsils, swollen lymph nodes in the neck, and a fever, I know I likely have a patient who needs to be treated for strep throat. In order to solve his problem, I will need to give him an antibiotic to fight the bacteria that is causing his symptoms. If I gave this patient Tylenol, I would only be treating his symptoms, and would likely end up with a patient who feels better but isn’t really cured. This is what we are doing with our diabetes treatment. 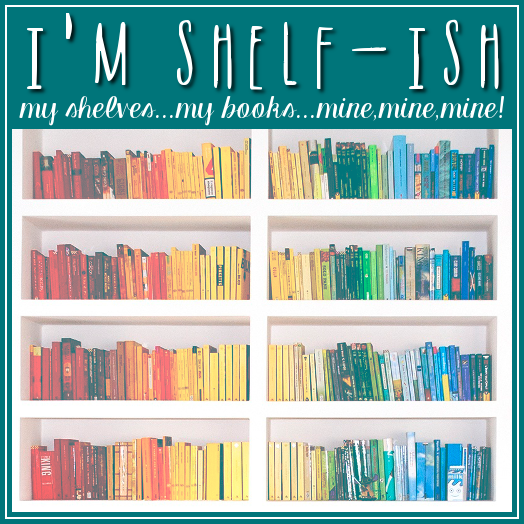 This is also likely the reason we consider this a progressively worsening disease. By shifting your focus, you will find a path to the solution you’ve been searching for. Why focus on insulin resistance? Because when insulin levels are high due to resistance, lipolysis (fat breakdown) is inhibited, sensitive arteries throughout the body are exposed to damaging higher levels of glucose, muscle protein synthesis is reduced, and glycogen-filled cells are converted to fat for storage. Dr. Tony Hampton has been treating patients with multiple chronic conditions for nearly two decades. In addition to his role as an Advocate Medical Group (AMG) family physician over the last nine years, Dr. Hampton currently holds multiple responsibilities within the Advocate Healthcare, including Medical Director of AMG Beverly, Vice-Chair of AMG’s Governing Council, Chair of Health Outcomes Committee and Co-Chair of Executive Diversity Council. Over the last two years, Dr. Hampton has worked closely with AOS, successfully piloting advancements in AMG’s operations management systems. He is a champion for change that results in greater work-life balance for physicians and an enhanced patient experience. His interpersonal skills, clinical knowledge, and desire for strong patient/team engagement will continue to make Tony an asset to the AOS team. A regular speaker for the American Diabetes Association and consultant for the Illinois Department of Public Health’s Initiative to Improve Diabetes Care, Dr. Hampton is passionate about empowering patients by changing old beliefs to new ones which better serve them using evidence-based medicine. Educating them on the root cause of disease processes and the importance of diet provides the path to positive health outcomes for diabetics, borderline diabetics, and patients not at their ideal body weight. 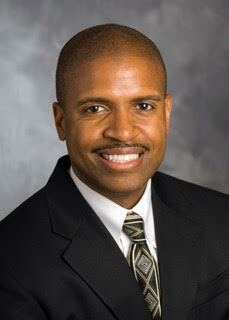 He is a Certified Physician Executive (CPE) and earned his MBA from the University of Phoenix. Tony authored the book Fix Your Diabetes, Fix Your Diet, Your Dietary Solution to Reversing Diabetes which was published in April 2017.